Collaboration across fields. Faculty in the Transcriptions project, for example, include medievalist, 18th-century British, 19th-century British and American, and 20th-century scholars. 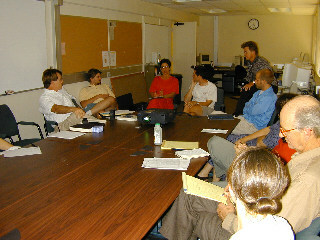 In almost no other context in a contemporary research-level humanities department could such a cross-period and cross-field group work closely together in research and teaching. The themes and practices of information technology create a shared medium between fields. Collaboration across academic levels. In the typical humanities department, faculty and students work together in research only in tightly constrained ways. Individual graduate students, for example, may serve as research assistants for individual faculty; while undergraduate students almost never have a chance to participate in research with instructors. 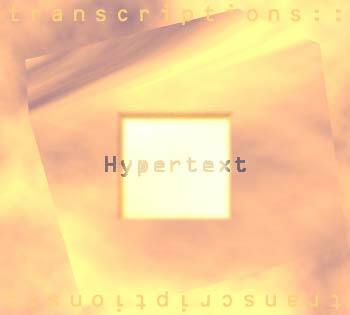 Transcriptions, by contrast, creates a much thicker zone of interaction across academic levels. Multiple faculty work with multiple graduate-student research assistants in a variety of research activities, including the organizing Transcriptions Colloquia, creating Transcriptions Topics pages, and writing reviews for the Transcriptions Bookshelf. In addition, undergraduate research assistants work with graduate-student supervisors and Transcriptions faculty to produce original research in the innovative Literature & Culture of Information (LCI) Reseach Team program. Interdisciplinary collaboration. Transcriptions uses the themes and practices of information technology to create research activities that bridge not just between academic disciplines but between the academy and other professional sectors of society. Faculty and students in the project, for example, collaborate or visit with members of such other departments on campus as Art Studio, Media Arts & Technology, Film Studies, or Psychology (the UCSB Psychology Department's Virtual Reality lab). Project participants also meet with or interview people from the worlds of business and private-industry information technology (see, for example, LCI field trip to the Panasonic Speech Technology Laboratory). During each year, four to six graduate students work in close collaboration with Transcriptions faculty as project research assistants and teaching assistants. Besides helping develop the project's technology, Web site, and instruction, graduate students contribute the perspective of their own individual research interests—for example, in the creation of Transcriptions Topics pages and Resources pages. Recent graduate students associated with Transcriptions, for example, include Jeremy Douglass (dissertation planned on the transition of contemporary fiction to digital form, especially database design; programmer and designer of the database serving the Transcriptions and UCSB English Dept. Web sites), Jennifer Jones (dissertation completed on the relation between the theory of virtual reality and the 19th-century theory of the sublime; author of Transcriptions Topics page on Virtual Realities & Imaginative Literature and contributor to Transcriptions Bookshelf), and Christopher Schedler (book forthcoming, Border Modernism: Intercultural Readings in American Literary Modernism, Routledge, 2002; author of the Transcriptions Topics page on Native American Literature, Oral Tradition, Internet). Gerald Egan : research areas in nineteenth-century literature, visual culture, and new media. Kimberly Knight : research areas in 20th century literature, new media, and information culture; dissertation planned on information structures and the sublime in gothic and cyberpunk literature; member of The Agrippa Files development team; research assistant for the Transliteracies project. One of the project's goals is the vertical integration of the usually separated levels of the higher-education community so that undergraduates work collaboratively alongside faculty and graduate students in project development. 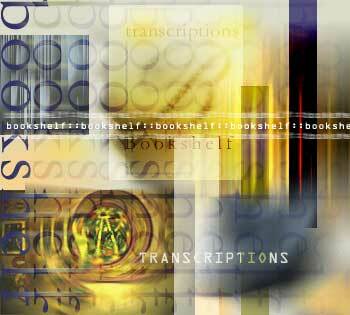 Undergraduates are thus also key members of the Transcriptions development and research team. 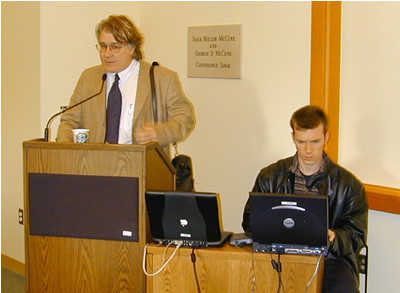 The first-generation Web site of Transcriptions, for example, was designed by Eric Feay, an undergraduate English and Philosophy double major with special interests in graphic design and literary theory. More recently, Transcriptions initiated a series of paid, undergraduate research-assistantships designed to allow students to pursue research in the digital culture field. Students work in small teams under the supervision of a Transcriptions graduate-student teaching assistant. Their research appears in the online, student-authored Literature and Culture of Information Magazine. 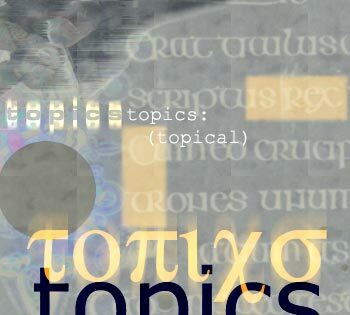 Recent issues cover such topics as the subculture of digital gaming, theory and history of electronic music, and the governance of online communities.